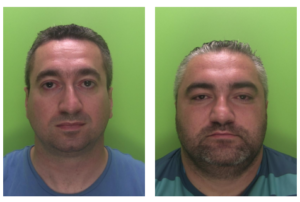 Two brothers have been ordered to pay back £167,650 in criminal gains after they trafficked vulnerable men from Poland to work in a Sports Direct warehouse in Shirebrook, Derbyshire. The government will not be able to reduce the prevalence of modern slavery significantly or show that it is achieving value for money until it establishes effective oversight, the National Audit Office has warned. Police care for victims of slavery can be excellent, but there isn’t always the same focus on disrupting human supply chains, according to a new report by Her Majesty’s Inspectorate of Constabulary and Fire & Rescue Services. One in ten UK supply chain managers say they have found evidence of modern slavery in their supply chains since the Modern Slavery Act came into force, a survey by the Chartered Institute of Procurement & Supply has revealed. There has been a 425 per cent increase in the number of modern slavery act prosecution cases, according to the Ministry of Justice’s Criminal Justice System Statistics Quarterly report.